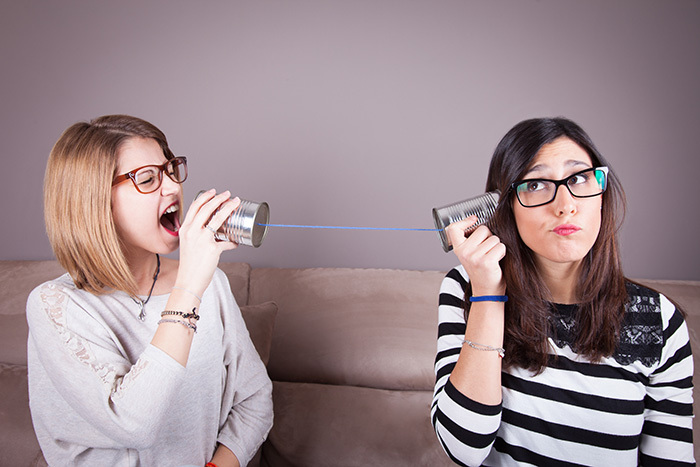 Interpersonal communication can be described quite simply as face-to-face communication between two or more people. In the workplace, interpersonal skill is considered the lifeline of the office or the organization. All activities depend on effective communication. Hence, if there is a gap in interpersonal communication, the entire organization or unit may suffer from inefficiency and may even fail. Let us analyse the following case study to better understand the nitty-gritties of interpersonal communication. Michael is an intern at a law firm. He is hired for a two-month internship programme which includes assisting advocates, interacting with their clients and attending court sessions. However, after a few days, Michael’s performance suffered greatly which led to inefficiency and client dissatisfaction. Upon examining Michael’s work habits closely, the manager realized that he lacked interpersonal skills. Michael did not have good verbal communication skills. When interacting with his seniors, Michael often could not speak out his mind nor put his ideas across to his colleagues and seniors. His manner of speaking was flat and often lacked professionalism. He did not use professional language and sometimes ended up being rude to his seniors. This created confusion and a communication block between him and the others in the workplace. Michael’s non-verbal communication skills lacked miserably. His body language was off-putting and he often gave off a negative vibe. He would not make eye contact while speaking with others and often spoke in a somewhat rude tone. His gait was awkward and often sat in the wrong position, with one leg up the other. Michael was not a good listener. When meeting with clients, he did not take notes properly while they were talking. This was because he did not pay attention to what the clients had said. Hence, there were several instances of misunderstanding by Michael, which led to a communication gap with the client. Michael lacked negotiation skills. When talking with clients, Michael often spoke back without really understanding the clients’ situation. He would often show signs of irritation and point out flaws in the client instead of talking over them. When questioned about various legal solutions as part of his training, Michael often lacked the ability to solve problems efficiently. He could not come up with efficient solutions nor could he suggest ideas to the clients and seniors. Michael suffered from a lack of decision-making skills. Not only was he unable to solve given problems but he also lacked the ability to make decisions. Finally, Michael’s overall confidence was affected by his lack of assertiveness. He was often non-responsive when asked or told something. He also refrained from pointing out mistakes or suggest new ideas. In order to improve Michael’s interpersonal skills, a few things need to be changed and followed. His verbal communication skills need to be worked on. For this, Michael needs to practise talking more often with his colleagues and clients to understand their demands and needs. He also need to be more professional in his approach and speak with clarity and use non-aggressive, positive and formal tones. His body language needs to change in order to give off a warm and assuring vibe to others. He has to sit upright, control his upper body movements and make eye contact while speaking. Michael also needs to increase his concentration by listening properly to what people say. This will lead to a better understanding of the people around him and also better efficiency. There would be better management of handling of the cases. With better verbal communication and listening skills, Michael can improve his negotiation skills. This will also lead to understanding flaws in others and discussing them in a proper manner. With negotiation, problem-solving skills will flow where a better understanding of the overall situation will add to general efficiency. Assertiveness, especially with clients, give a positive image of confidence. Michael can learn to be professional, amiable yet firm with his clients and colleagues. Thus, in conclusion, interpersonal skills at work directly impact the whole organization. A strong approach to improve communication between people and break such barriers will go a long way in assuring the efficiency of the workplace. Cooperation with others and supporting them is very important. It improves communication and leads to a better understand of the situation and the emotional disposition of people.